Sertalp B. Cay has started working at SAS in 2014 as a summer intern and now is an Operations Research Specialist in the Operations Research department within SAS R&D's Advanced Analytics division. He works on various topics at SAS including mixed-integer linear optimization, conic optimization, and black-box optimization. 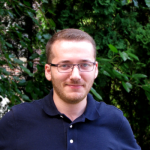 He maintains the open-source Python optimization modeling package, sasoptpy. He earned both B.S. and M.S. degrees in Industrial Engineering from Bilkent University, Turkey, and Ph.D. in Industrial Engineering from Lehigh University.